Skin care is something I really enjoy writing about, simply because it is an essential in anyone's routine and I genuinely have fun trying out what is on the market and recommending what is best, since let's face it stepping into the drugstore can be a bit overwhelming. Whether you keep it simple with a day and night moisturizer or have a set routine in place that includes six different steps, you can't deny the difference that using a few products makes. 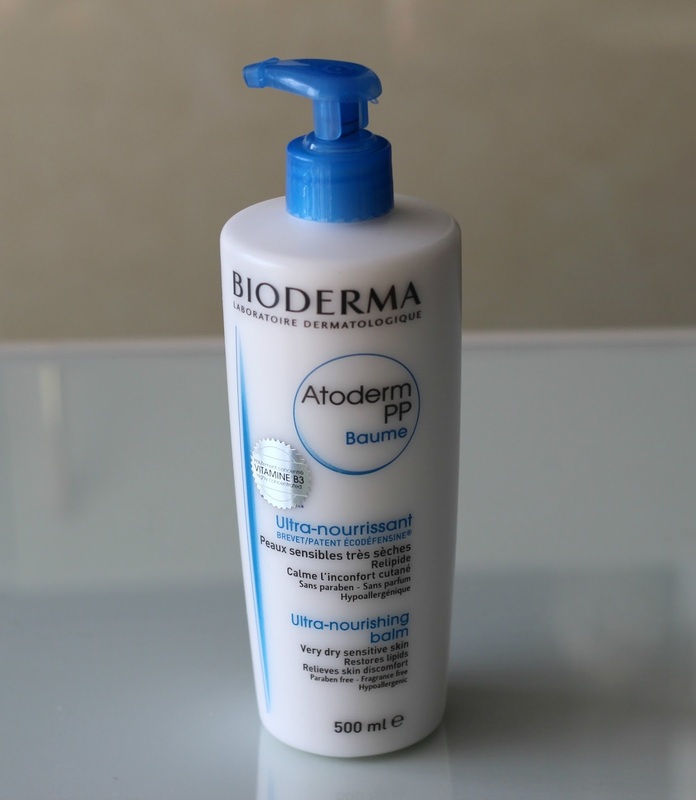 I've talked about a few Bioderma products before: their Sensibio line is probably my favourite because it is so gentle on my skin and really effective at removing makeup quickly. 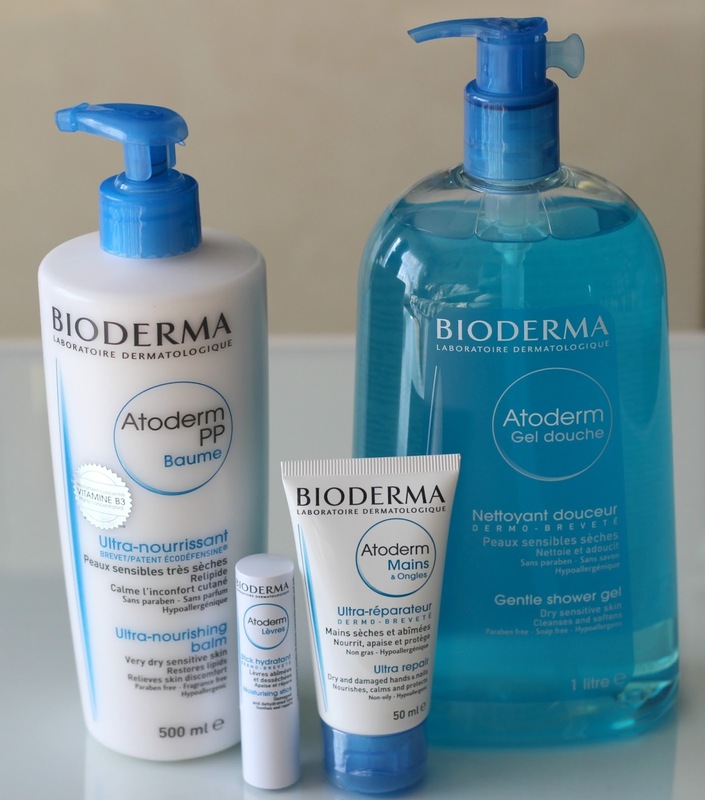 I have recently been trying out their Atoderm line which targets people with very dry and sensitive skin, more specifically their PP Ultra-Nourishing Balm*, Gentle Shower Gel*, Lip Moisturizing Stick* as well as their Ultra Repair Hand and Nail Cream*. I am more familiar with their face products so it was interesting to try their body products this time around. The Atoderm PP Balm (500 mL) is a very light lotion that treats and prevents extreme dryness which can often lead to itchiness and sensitivity. It absorbs almost instantly, great for when you are in a hurry and don't have time to spare when stepping out of the bath or shower. It can be used both on your face and body, and is paraben and fragrance-free. I've been especially enjoying it because of how quick and easy it is to apply. My skin hasn't been dry since using this, so I can say it works! 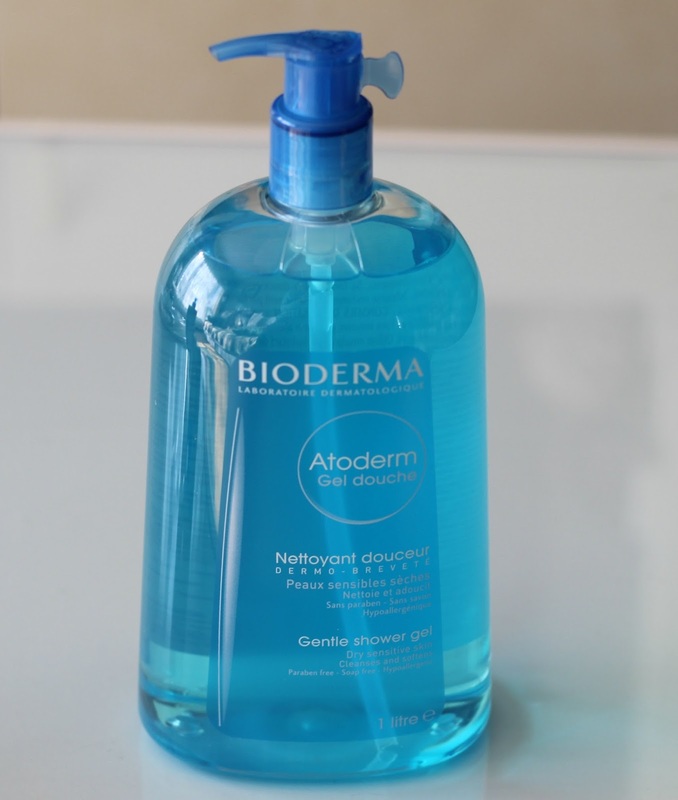 While in the shower, I've been using the Atoderm Gentle Shower Gel (1 L) all over my body. This bottle is massive as you can see and will probably last me forever. I wouldn't say it is out of this world and something I can't live without, but it gets the job done and doesn't strip my skin which many drugstore products tend to do. I like how the soap-free formula lathers lightly into a mousse and leaves my skin feeling soft and clean. 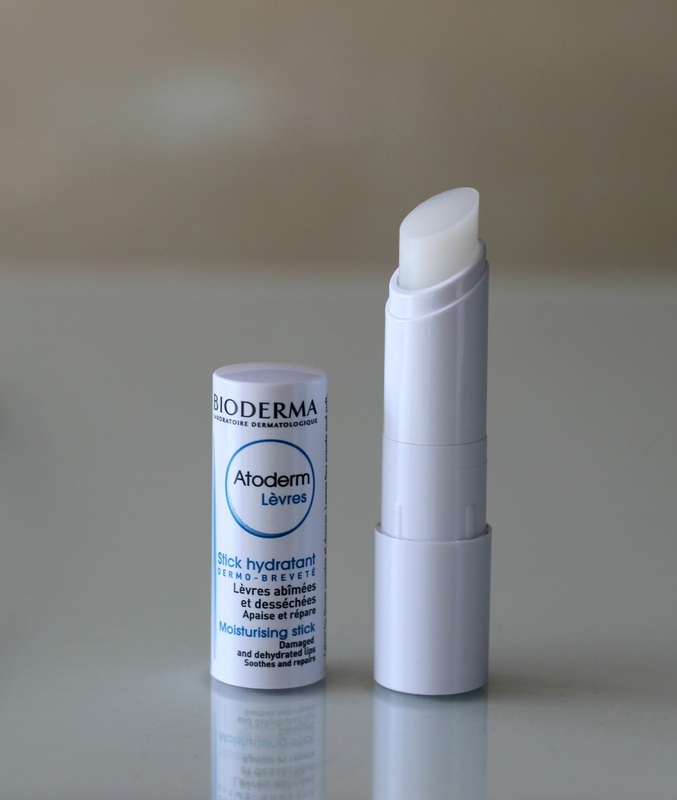 The Atoderm Lip Moisturizing Stick (4 g) I was really disappointed with simply because it sits on my lips and never absorbs, leaving a thick layer behind, similar to petroleum jelly. I much prefer lip balms void of mineral oil, which is unfortunately the first ingredient in this one. It also contains fragrance, so if you are one to avoid this ingredient, there are much better options out there. Lastly, the newly-reformulated Atoderm Ultra Repair Hand and Nail Cream (50 mL), said to relieve even the most irritated and cracked hands. The texture is very similar to the PP Balm, the main difference being that this one is lightly fragranced. It does not feel greasy and sinks in completely within minutes. Hand cream is one of those things that I keep forgetting to use since my hands are rarely dry, however I've been reaching for this one quite a few times since receiving it. If there is one product I would recommend from the bunch, it would be the Atoderm PP Balm because it is multi-tasking and can be used as a face, body and hand cream, all in one. It's a bit pricier but you will get good use out of it for the amount you get. 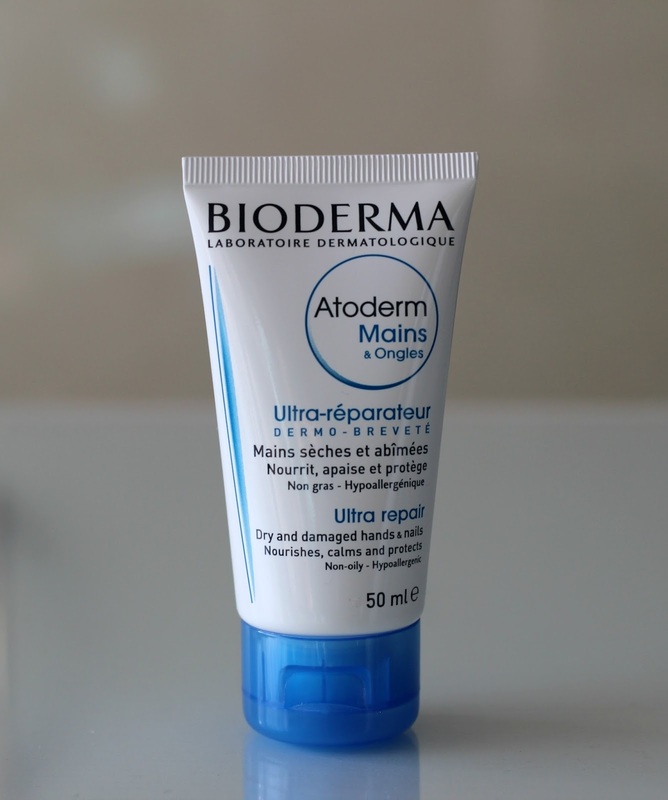 Bioderma products can be purchased in drugstores across Canada. What do you use to treat dry skin? Have you tried any of these products? I haven't tried the hand and nail cream yet! The rest I really love though, and seriously that shower gel will last forever! I love the shower gel, didn't know they have a 1L bottle now! Lovely post i liked all three beauty tips. Basic skincare is more important than makeup. If you don't have good skin no makeup will give a change.